Product Review: The Lee Bros. New Cookbook! 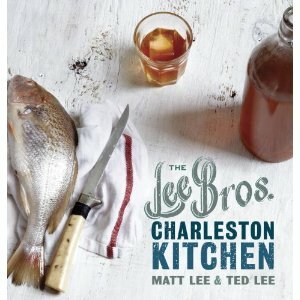 05 Feb Product Review: The Lee Bros. New Cookbook! A couple years ago, we were given our first introduction to the Lee Brothers by our friend, John. He gave us their book, “Simple Fresh Southern” as an engagement gift. Their recipe for Whole Roasted Chicken with Onions and Potatoes has become one of our go-to chicken recipes. Haven’t heard of the Lee Brothers? We’re ashamed we hadn’t, they’re kind of a big deal. They grew up in one of our favorite cities, Charleston SC (reason enough to love them). After college, they started a mail-order company that offered solid southern foods like preserves, pickles, and grits-The Lee Bros. Boiled Peanuts Catalogue. They are contributing editors for Travel + Leisure, wine columnists for Martha Stewart Living, and have written stories for Bon Appetit, The New York Times, and many others. 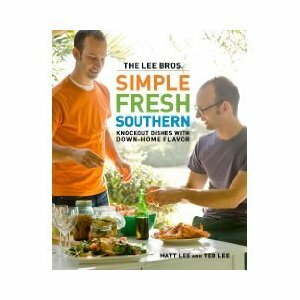 Besides that, in 2007 their first cookbook-The Lee Bros. Southern Cookbook-received the James Beard Award for Cookbook of the Year. No small feat. On February 26th, their new cookbook comes out! “The Lee Bros. Charleston Kitchen” brings it all back to their hometown. Since it’s not out yet, we can only speak to what we’ve read online, but people are already buzzing. From Amazon’s book description: “Readers are introduced to the people, past and present, who have left their mark on the food culture of the Holy City and inspired the brothers to become the cookbook authors they are today.” Charleston is full of two things we love-incredible food and history, and it sounds like this book will be heavy in both. Can’t wait to buy our copy soon!